A little greenery goes a long way this season! 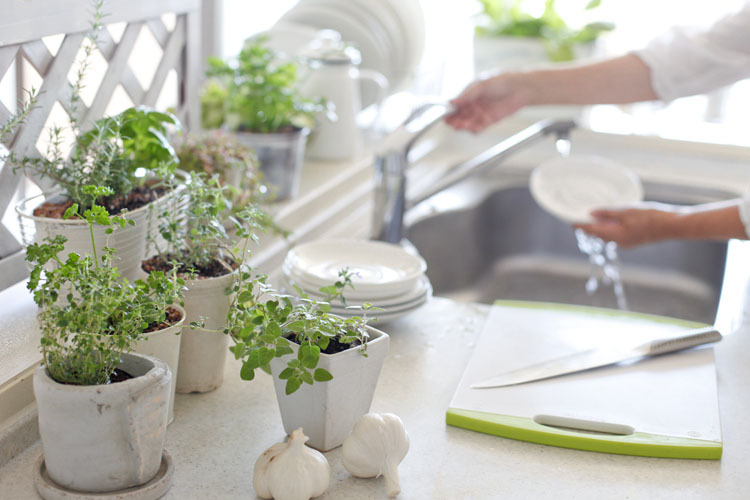 Blossoming flower arrangements and fresh herbs can be a missing link to an already beautiful kitchen. Their vibrant colors and aromatic scents will be welcome accents to your home. Not to mention, having fresh ingredients on hand can add a burst of flavor to any meal. As summer approaches, flowers are blooming everywhere, so why not bring some of that brightness into our kitchens? 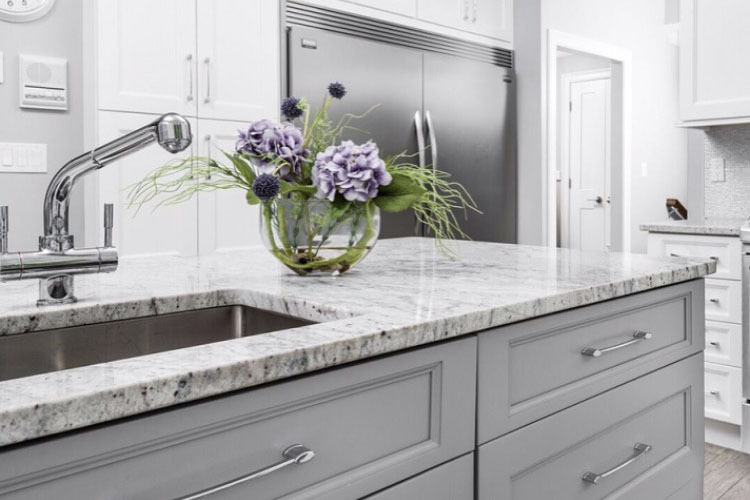 Whether you play with a minimalist flower composition or a luxuriant blooming jungle, your kitchen will always look fresher and friendlier with florals. Use plants and blooms as tabletop and windowsill centerpieces to make a space more inviting to sit and eat with family and friends. Decorating with greenery can be useful and beneficial as well. Here are a few low maintenance plants to make up your kitchen's herb garden. Basil – A staple in any kitchen! Basil’s fresh, spicy, clove-scented flavor profile is a natural addition to so many cooking styles and cuisines. Parsley – Like basil, is a versatile herb that has a clean and mild flavor profile. It makes for a perfect garnish to add a bright note to your dish. Thyme – Another must have in your herb garden. Not only does it produce great flavor, thyme also provides beautiful aromatic scents in the kitchen. Rosemary – A fragrant culinary herb, that also looks good in the garden! Rosemary requires only the most basic care in order to look, smell, and taste wonderful. They are all quite easy to care for, so you can’t really mess this up! What are your favorite ways to display flowers or greenery in your kitchen?